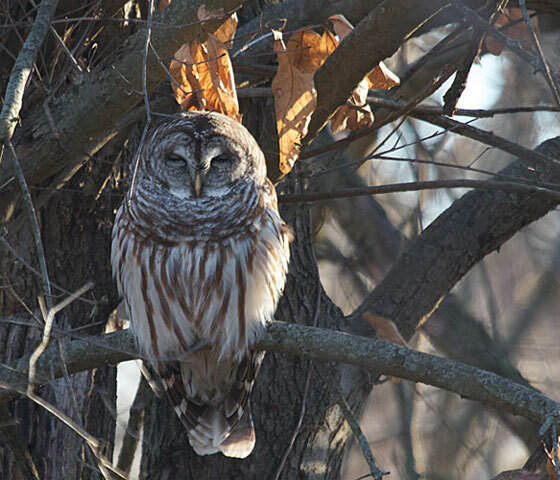 As I walked by ever so quietly, the barred owl appeared to be asleep, never opening its eyes. And yet... its head turned slowly so that it was always directly facing me. Whether by hearing or by slit-eyed peeking, the owl knew exactly where I was.